The San Francisco Giants have become the darling of the NL West. They draft, develop, and sign players correctly. Their organization reminds me of the St. Louis Cardinals. These teams do not need to reach into their piggy banks often, but when they do they always sign players that pay huge dividends for their Major League clubs. The Giants top free agent signings happened to be Johnny Cueto and Jeff Samardzija. If Cueto continues his dominant 2016 performance he will easily finish in the top five for NL Cy Young. The Diamondbacks drafted well last season, but traded the number one overall pick (Dansby Swanson) for Shelby Miller. Miller has been a disappointment but the potential is there for a rebound moving forward. We’ve seen the complete opposite with the San Diego Padres. 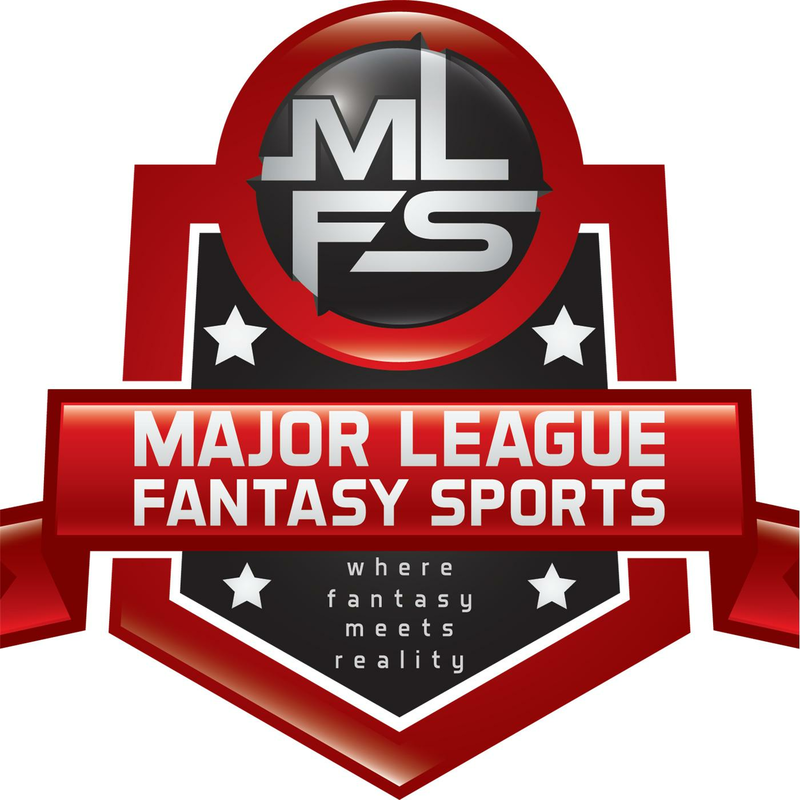 They depleted part of their minor league organization “beefing” up the Major League club during the 2015 off-season. This backfired as the Padres finished fourth in the division 14 games under .500. This week, let’s hone in on Building for the Future: NL West Draft Breakdown 2016. After losing their 2016 first-round pick due to signing free agent Zack Greinke, the Diamondbacks’ first selection came at 39th. With the 39th selection Arizona selected Auburn outfielder Anfernee Grier. Grier finished the 2016 season slashing .366/.457/.576 with 12 HR, 41 RBI, and 19 stolen bases out of 24 attempts. While Grier was regarded as one of the top hitters in the SEC, and 87th in average in NCAA, it remains to be seen how his swing can translate versus professional pitching. There’s no questioning the pop in his bat, but he tends to go with a long swing which can hinder his swing with good inside fastballs and top-tier breaking balls. This is the case with many hitters, but with hard work Grier can easily fix any flaws in his swing. If he ends up playing in Arizona, there’s no question he could push for 15+ home runs per season. Defensively, Grier is solid in centerfield. He has a natural centerfielder arm that won’t scare too many base runners, however he has shown the ability to have solid accuracy with his throws from the outfield. His plus speed will give him an edge over many outfielders. While he wasn’t near the top in NCAA stolen bases, he was safe in nearly 80% of stolen base attempts Professional coaches will help him evolve into a stolen base threat. The slender outfielder stands at 6′ and 170lbs. Only 20 years-old, the next few years will be a transformation for Grier as he adds more muscle to help him make it through at 162-game season. After going after an outfielder, the Diamondbacks used their second round pick (52 overall) on 6’3″, 215lbs catcher Andrew Yerzy out of York Mills Collegiate Institute in Toronto, Ontario. The left-handed, power-hitting catcher made a name for himself during last year’s High School Select home runs derby. As seen with many high school catchers he’s more of a hitter than a defensive catcher. While there are many negative reports on his catching ability, there’s no questioning how enamored scouts become with left-handed hitting catchers that have great power. While Yerzy committed to Notre Dame, he ultimately decided to sign with the Diamondbacks on June 20. Two weeks short of his 18th birthday, Yerzy will be a project if he is to catch in professional baseball. He projects as decent catcher that will always be hit-first, but there’s always a chance he gets moved to the outfield, more specifically left field. After Grier and Yerzy the Diamondbacks selected right-handed pitcher Jon Duplantier. Rebounding from a 2015 shoulder injury the Rice product Duplantier lead Division I with 143 strikeouts in 106 IP. His fastball reached the mid-to-low 90s and he has shown the ability to keep his velocity deep into ball games. His repertoire includes a solid curve ball and sinking changeup. While he was a starter in college, his shoulder injury scares me a bit. If he has a reoccurrence of an arm injury, specifically the shoulder, Duplantier could find himself a reliever in professional baseball. The Diamondbacks selected five pitchers out of their first ten draft picks. There’s no questioning the value pitchers carry, and the Diamondbacks will look to develop a plethora of arms in the coming years. In my opinion, pitchers are a dime a dozen. Pitchers that endure serious injuries (elbow/shoulder) are 50/50 when it comes to rehabilitating to full strength compared to hitters that get injured. The Rockies arguably landed one of the best prospects, shortstop Brendan Rodgers, in 2015. After, they selected pitchers with eight of their next 10 picks. 2016 was no different as the Rockies as six of their first 10 picks went to pitchers. The Rockies selected two right-handed arms, Riley Pint and Robert Tyler, and lefty Ben Bowden with their first three picks (4, 38, and 45). The number four overall pick in this year’s draft, Riley Pint, was the second pitcher off the board. The 6’4″, 195lbs high school product has a great arm and his fastball sits in the mid-to-high 90s. He hit a high of 102 during the spring, and already has a dynamite curveball. While there are concerns with his mechanics, there’s no arguing he was one of, if not the, top arms in this year’s draft. Pitchers with high velocity tend to have control issues and this could become an issue as Pint faces hitters that are ahead of their peers. After Pint, the Rockies selected University of Georgia righty Robert Tyler. His fastball sits in the high-90s while reaching 100 MPH. His fastball has excellent movement, and he has become one of the best of all pitching prospects. Reports suggest his changeup is advanced, but he lacks the ability to command a breaking ball. This will be a main focus while working the minor leagues. 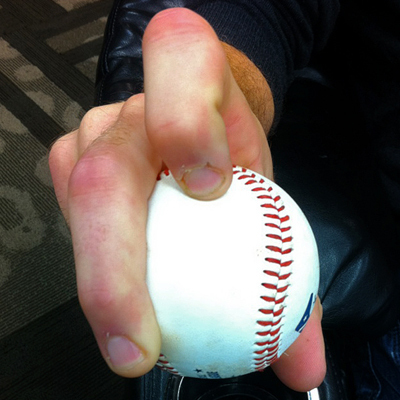 He’s been working on a knuckle-curve, and this can help get serious break. I threw a knuckle-curve, and it’s easier to grip than your traditional curve. Not to mention, it’s easier to get better snap on the ball leading to better sink. While he was a starter in college, the fact that he hasn’t developed a solid secondary pitch makes me believe he’ll be destined for the bullpen. Ben Bowden maintained the trend of Vanderbilt pitchers being drafted. The 6’3″, 252lbs lefty was a dominant reliever during his first two seasons of college baseball, but opened the year in Vanderbilt’s rotation. His struggles led to a 4.68 ERA and return to the bullpen as the team’s closer. His fastball sits in the low-to-mid 90s, but carries great movement. His breaking ball and sinking change are solid secondary pitches. The Rockies will have to decide if he’s destined for a back-end starter or late-inning reliever. His velocity tends to dissipate as innings progress, and this suggests he may not be cut out for a starter, or long-relief, role. The Dodgers have shown the ability to develop pitching. They have arguably the best pitcher of our generation in Clayton Kershaw, and Julio Urias looks to be headed in the same direction. Their pitching potential doesn’t stop at Urias as there are many solid arms in the minor league system. The Dodgers developed a franchise shortstop in Corey Seager, and that makes me question their first-round selection of high school shortstop Gavin Lux. Reports suggested Lux was destined for second base, and that would seem so with the 22 year-old Seager looking like a lock for the next 10+ years. Nevertheless, there’s no questioning Lux’s skills. His left-handed swing produces enough bat speed to produce 10+ HR per season. He has a solid arm, but grades nowhere to the likes of Rafael Furcal. The shortstop was an Arizona State commit, but elected to sign with the Dodgers on June 17. The Dodgers used their second first-round pick on Louisville catcher Will Smith. While Smith struggled to produce offensively through his first two seasons he rebounded in 2016. His defensive ability is what led to him being drafted in the first round. There’s no questioning that his offense improved. But a great arm and quick transfer led to his draft position. His athleticism makes him more valuable than other catchers, but he will be known as a defensive catcher. The Dodgers’ first two picks are solid and Lux could allow Corey Seager to transition to third. They have solid outfielders in Joc Pederson, Yasiel Puig, and Trayce Thompson, but Puig has been a bust, Pederson hits every once in awhile when he’s not striking out, and the case remains to be seen with Thompson. No organization has been a bigger letdown than the Padres. They moved Anthony Rizzo to the Chicago Cubs for Andrew Cashner and we’ve all seen how that’s played out. They brought in a new GM who dismantled their Major League club while trading key pieces in their minor league system. This hasn’t worked out, and they’ve been trying to piece the organization back together. It’s amazing that all of this happened within 36 months. To make matters worse, the Padres used their 2016 first-round (8th overall) selection on Stanford pitcher Cal Quantrill, son of former Major League pitcher Paul Quantrill. There’s no questioning his potential, but since he already went through Tommy John surgery they should’ve gone another direction. This organization lacks talent, and a player coming back from surgery isn’t likely to become the face of your franchise. The righty has an average fastball sitting at the low-to-mid 90s, but carries solid control. Both his curve and slider are plus, and his changeup has good sink. While there’s no questioning that teams don’t fear Tommy John. There’s no way I could use a top-ten first-round pick on a pitcher recovering from Tommy John. Luckily, the Padres had three (8, 24, 25) first-round draft picks. After Quantrill, the Padres selected shortstop Hudson Sanchez out of Carroll High School in Southlake, TX. The Texas A&M commit has a quick right-handed bat and worked hard to add size (6’2″, 180lbs). The downfall to the high school shortstop is his quickness. He’s a bit slow for a middle infielder and could wind up at third base or left field. It remains to be seen if he signs with the Padres, and I have a feeling he may choose College Station unless his signing bonus is generous. With their third first-round pick the Padres selected left-handed pitcher Eric Lauer out of Kent State. He was the top high school prospect in Ohio in 2013. But he chose college over signing with the Blue Jays. Last summer, Lauer led the Cape Cod League in strikeouts (50 in 39.2 IP). As a starter, he led Division I with a 0.69 ERA. He brings a low-90s fastball and solid slider. His curve and changeup are works in progress. He figures to be a middle-rotation starter. At the beginning of the article I mentioned the Giants as the team to beat in the NL West. I attribute this to their front office. They draft well and know how to develop players. They have a manager in Bruce Bochy who has been around a long time and knows what it takes to win. There’s no questioning the Giants’ need for outfielders and they answered that in the draft. Three of their first five draft picks were outfielders and I like what the Giants did. They lost their first-round draft pick after signing free agent Jeff Samardzija. Nevertheless, the Giants went after needs selecting Vanderbilt switch-hitting centerfielder Bryan Reynolds. He may not standout in one particular category, but he’s a solid outfielder that has plus tools across the board. He has a fluid swing from both sides of the plate, offensive potential, solid speed, and is a plus defender. He has shown the potential to swing-and-miss, but he knows how to hit. His over-aggressiveness needs to be tempered in the minor leagues or pitchers will take advantage of him. He may not be the fastest guy but he knows how to get good reads that lead to solid jumps off a pitcher. The only knock on Reynolds is his subpar arm. He plays center now, but may be destined for left field. The Giants used their second pick (3rd Round, 95th overall) on Heath Quinn. He was a teammate of Rockies first-rounder David Dahl in high school. The Samford University Junior has been a power-hitter and hit 21 HR in 61 2016 games. He excelled in the Cape Cod League and was an extra-base machine. While he has a home run swing, his exceptional strength leads to great power numbers. He’s shown the ability to draw walks, solid arm strength, and his down-hill running speed allows him to have average speed when he reaches his top acceleration. I like what the Giants drafted in Quinn, as he could easily get a call within two to three seasons. He can provide them with power out of the outfield position which they have lacked in the past few seasons.